Shell Contracting Customer Testimonials | Holeman Inc.
As a result of the outstanding workmanship and professionalism that your firm has shown while working on our Tamarac Recreation Center and Tamarac Sports Complex, we feel compelled to forward this letter of recommendation. . . . Your company’s quality of work on both of the Tamarac projects was excellent. 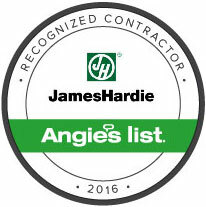 It was a pleasure to deal with professionals that know their job and are dedicated to on time performance, safety, and quality. John Di Pompeo, Jr.